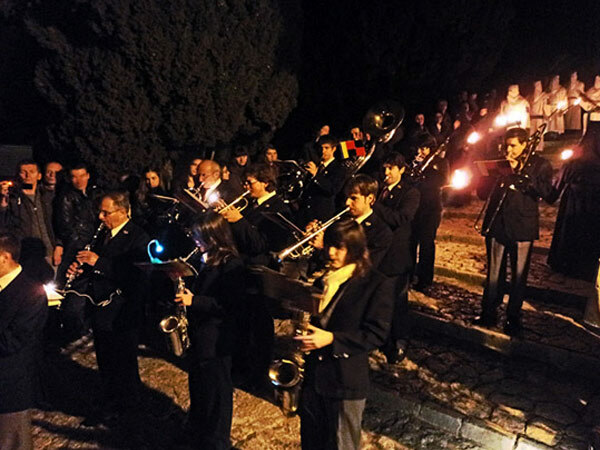 The annual Easter Procession on the Calvary Hill in Pollensa will take place again Good Friday, 19th April. 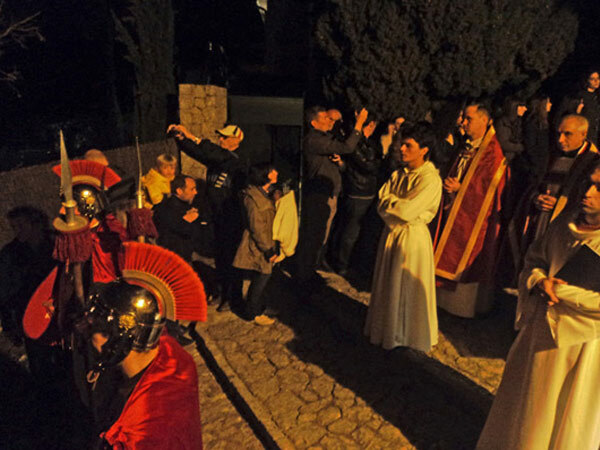 Once again, several hundred of the faithful, tourists and participants will gather along the historic “Escalinata”, which comprises exactly 365 steps and is a landmark for Christian believers, representing penance and absolution of sins (one step for every day of the year). 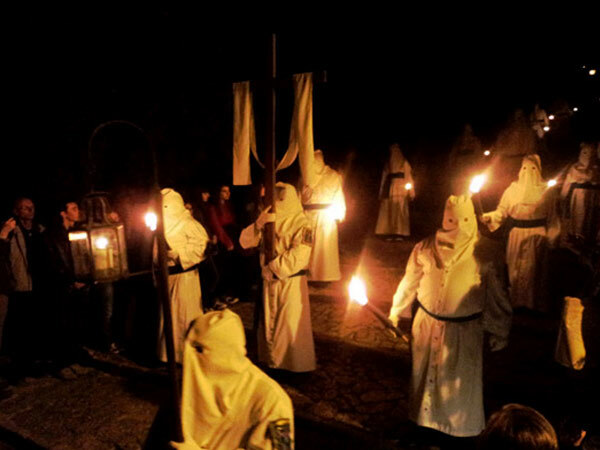 The spectacle actually begins in the early evening at the cloisters at the top of Calvary Hill, where all participants congregate and prepare themselves for the procession to the sound of church music. This in itself has an extremely striking and charismatic feel. 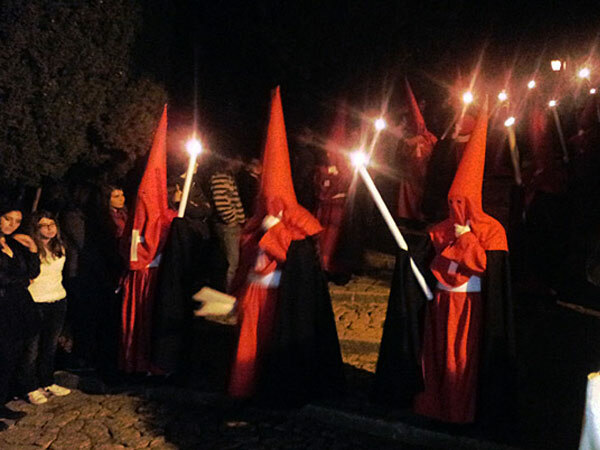 Since Calvary Hill in Pollensa is also one of Majorca’s most sought-after property spots because of the quiet location and incomparable views, I had a special opportunity this time to observe the entire procession directly from the terrace of a property owned by a friend. 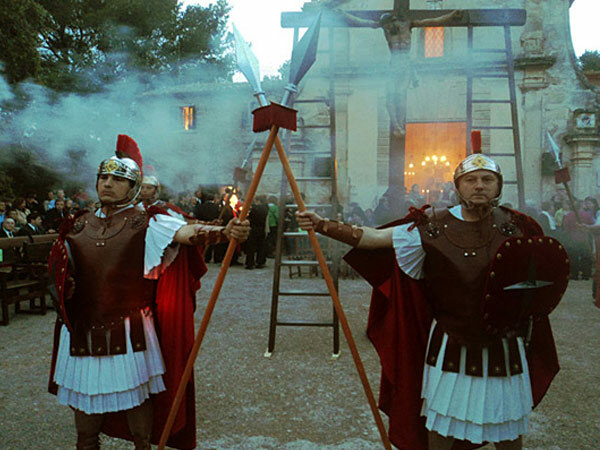 A statue of Jesus is removed from the cross, laid in an illuminated sarcophagus, and carried down the Calvary Hill, in absolute silence, accompanied by hundreds of festively dressed and masked torchbearers. This is indeed a most impressive and noteworthy spectacle, and it is also broadcast live on the local TV station, IB3. 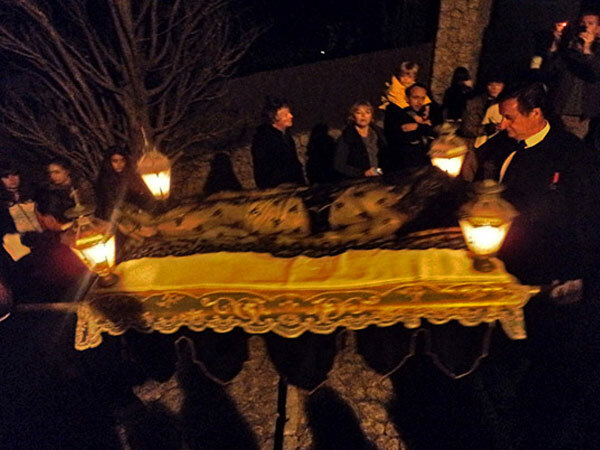 The Jesus statue is taken down from the cross and carried in silent procession down the Calvary Hill in Pollenca.